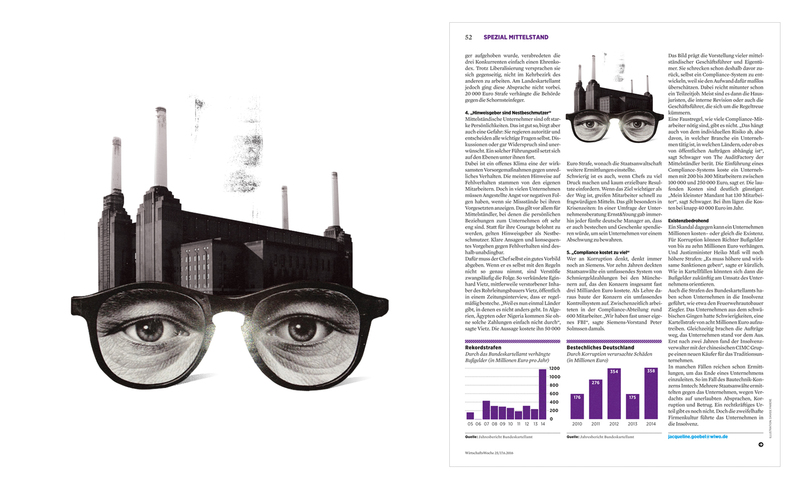 Wirtschaftswoche commissioned me a set two spot illustrations for the issue n.25. 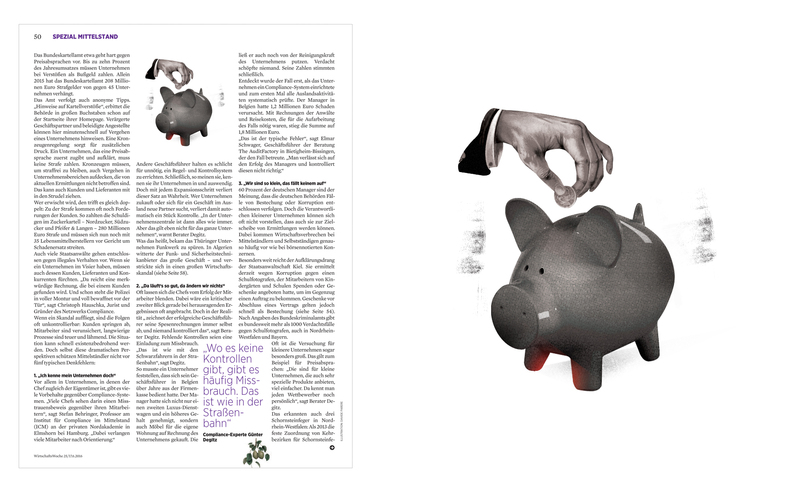 The article is all about compliance and how to avoid corruption. Small corporations, in fact, think they are too small to be monitored by the government. It could be much more expensive if corporations avoid working against corruption in the own house out of avoiding costs to do it.